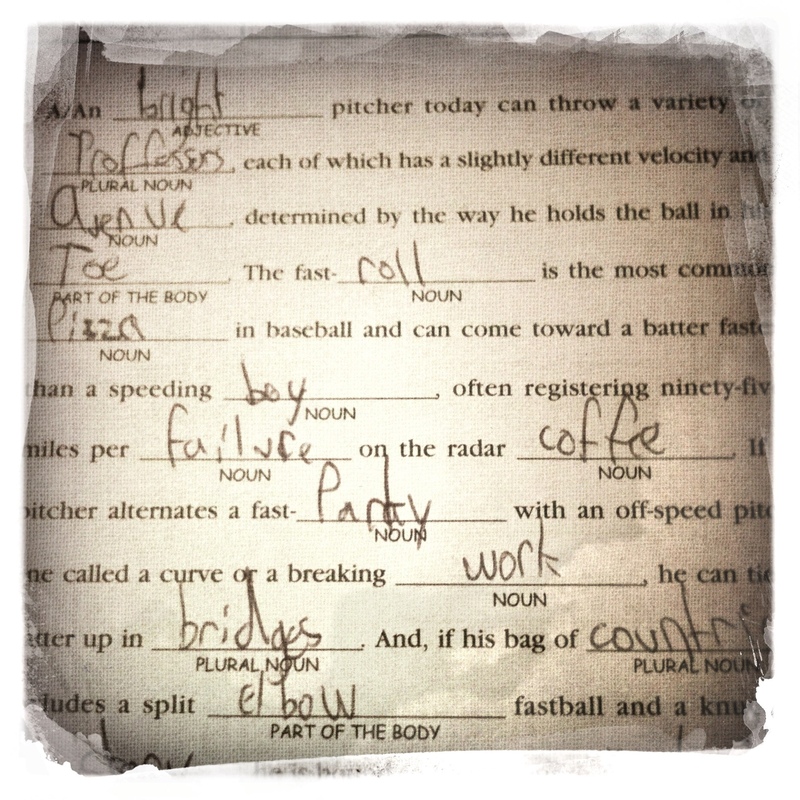 I bought the Potato a Mad Libs book while on a recent work trip…he seems to like it–this one is almost full already. June 2, 2012. books for kids. Leave a comment. I bought the Bee a Nook for her birthday. She loves to read, and with the Nook iPad app, I can share books with her through a single account. One of the e-books that I bought her was David Levithan’s Boy Meets Boy. I downloaded it and read it recently myself, and I highly recommend it, for those of you with tweens or teens in the house, or folks who just like YA lit. It’s an interesting idea, what it would be like to grow up gay in a world where everyone treated you just like everybody else. And I think the idea that gay teens would just get to make the same dumb mistakes that straight teens do is comforting, in a weird way. October 16, 2011. books for kids. Leave a comment. About 2 weeks ago, landisdad introduced the Sweet Potato to the comic strip Calvin & Hobbes. We have the massive three-volume treasury, and the Potato has been reading it ever since. 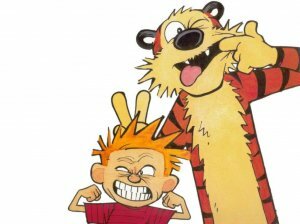 A lot of the jokes go over his head, but it’s clear that Bill Watterson had a pretty good insight into what makes a six-year-old boy tick. The Potato is in love with Calvin. He likes to lie on our bed to read it, and the other night, I was lying there with him, so he could ask me what certain words meant. During the course of probably forty minutes of reading, he was all over the bed. He’s incapable of being still, and it’s totally unconscious. At one point, he climbed up on my back and just sat there, reading all the while. It’s funny to be around a kid who has so much energy that he can’t stop letting it out, every minute. We worried for a while that he would be too unfocused at school, but he doesn’t have a problem focusing when he’s engaged–which is why he could read a book that is several grades above his reading level for forty minutes. To an outsider, he must look like the poster child for ADD. We went to the movies today, and despite the fact that he was enraptured by the movie (Alice in Wonderland), he didn’t sit still for more than a minute at a time. I felt bad for the people who were sitting near us–although at least he was at the end of the aisle, so the person to whom it was most noticeable was probably me. But the guy sitting in front of us was not amused, the couple of times the Potato kicked the back of his chair. While I do try to stop him from actively kicking other people’s chairs (but dude! seriously! if you go to a kids’ movie at 1:40 in the afternoon on a weekend, you are going to sit near kids! see the late night showing! ), I’ve given up hope of ever getting him to stop wiggling. Maybe when he’s in college, he’ll finally sit still in class. March 28, 2010. books for kids. 6 comments. It is fairly common for the Potato to climb into bed with me and landisdad of a morning, especially on cold winter days. Because of a quirk of construction, he has the coldest room in our house, and because of his congenital inability to sleep under blankets, he is often quite cold, which wakes him up. Sometimes, he comes in and just grabs his morning snack of dry cereal, then goes back to his room to read a book. Sometimes he climbs in for a cuddle. On weekend mornings, he will occasionally bring a book into our room to read (as I am often reading in bed when he wakes up). One iron-clad rule is that he is not allowed to eat his snack in our bed while reading a book, because I do not love the crumbs. So I performed a double-take last Sunday morning, when in my sleep-addled, blind-as-a-bat-without-my-glasses state I mistakenly thought that he brought a juice box into our bed. It was, in fact, the Maurice Sendak Nutshell Library (which, to be fair to my near-sightedness, is about the same size and shape as a juice box). He has been learning the months of the year at school, and he started spelling out the months from Chicken Soup with Rice. I think every parent, once in a while, has a moment where they are thrust back into their own childhood by their children, and that was one for me. I absolutely learned the order of the months from this book, and I can remember obsessively reading over and over again, “In July I’ll take a peep/into the cool and fishy deep/where chicken soup is selling cheap/selling once, selling twice/selling chicken soup with rice.” Why are they selling chicken soup with rice under the sea? I have no idea, but I was fascinated with that idea when I was little. I don’t remember having the other books in the Nutshell Library–Alligators All Around, Pierre, and One Was Johnny. Either my little brothers lost/destroyed/ate them or, more likely, we got CSWR as a promotion from Campbell’s Soup, and never had the others. 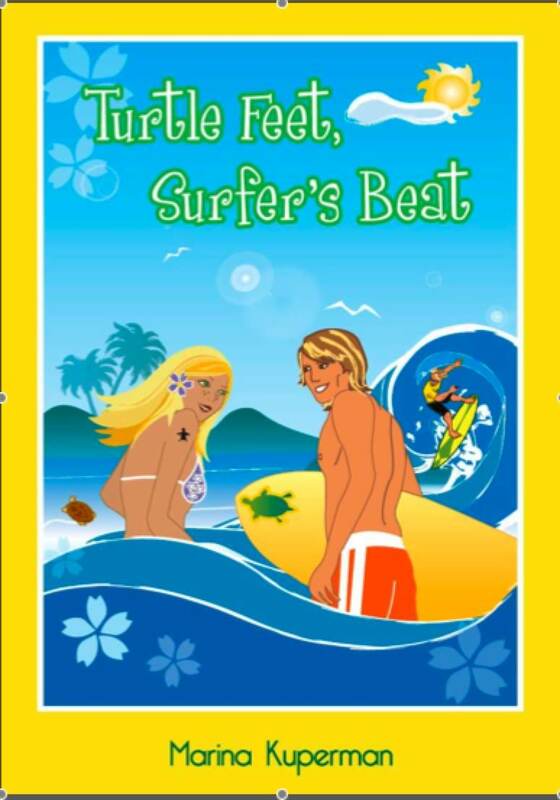 February 5, 2008. books for kids. 3 comments. my boy is learning to read! I was tremendously excited, but his sister was non-plussed. For me, having my kids learn to read has been one of the most rewarding parts of parenting. The Potato loves books, and like most four-year-olds, has certain ones that he wants to read over and over–lately we’re doing a lot of How Do Dinosaurs Say Goodnight and certain Curious George books that seem to have emerged in the post-PBS Kids era. But until this week, he hasn’t shown off his own budding reading skills. There’s a part of me that feels the need to make a bigger deal about this that what might seem rational. The Potato, like all second children, has become accustomed to his accomplishments going unremarked (or at least less-remarked). By the time he achieves a benchmark, the Bee has gone on to something bigger. But learning to read is a big, big deal in our family, and I want him to know that I noticed, want him to know that it’s important to us that he can recognize letters and words. Want him to know that we value reading, and that we prize his ability to do it. I can’t remember a time when I didn’t know how to read, but I do remember, vividly, the first time I realized that I could read a street sign. I want my boy to remember the moment he first saw the word ‘bus’ on a sign, and understood what it meant. August 31, 2007. books for kids, growing up. 8 comments. 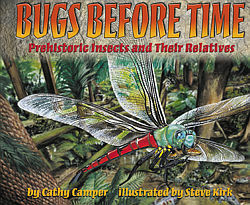 We recently got the book Bugs Before Time by Cathy Camper, which is about insects in the pre-historic age. Both my kids are really into it–it’s a picture book, which the Potato likes (plus it’s about bugs! and dinosaurs! what could make an almost-four-year-old happier? ), and it’s filled with tons of cool facts, which the Bee is into. For example–there were once water-based scorpions bigger than your bathtub wandering the face of the earth. Also, six-foot-long millipedes. Ew. The pictures are really cool, though. It occurred to me, after we got it, that while there are tons of great kids’ fiction books out there that are age-appropriate for the Bee, I haven’t been that thrilled with the science writing for the tweener set. I suppose there are those who would consider a book about bugs from the pre-historic era to be fiction, but we’re a pro evolution family here in landisville. There are tons of good little kid science books, but most of our older kid science library is made up of books that landisdad had when he was a kid. I assume that part of the reason for this is that I’m prejudiced in favor of fiction, so those tend to be the kinds of books I like to buy, but I also suspect that it’s due to a lack of good writing aimed at this market. Most of the science books I see have titles like Gross!, and just don’t seem that interesting. I’m also really not that into things like Science for Girls, although I am interested in teaching science to my girl. It’s the segregating of science into a girl/boy thing that I can’t countenance. We had a block party yesterday, and one of the moms had gone to the dollar store and gotten a bunch of little toys for all the kids to play with. After the Potato finished freezing himself in the various kiddie pools, he picked up a bug collecting kit, and spent easily an hour trying to catch ants and other various insects. Finally, his dad caught a firefly for him at dusk, and we spent some time talking about how its body looked, and the similarities between the firefly and the pre-historic insects (look! an abdomen!). He kept the firefly overnight, but we let it go this morning–I told him that I didn’t know what fireflies ate, so we needed to let it fly away to find something to eat. I like it when my kids are curious about the world, whether it’s the world today or the world of 300 million years ago. June 17, 2007. books for kids. 9 comments. If your kids don’t yet have this book by Maura Kalmans, you really should think about getting it for them. The tale of Pennywise and her dog, Pete, it’s good for a preschooler or younger elementary student. I think it would be especially good around the back-to-school time of year, though it seems to work in our house any time. Pennywise and her brother, Mookie, have a dog named Pete, who comes to school one day and eats the encyclopedia, which makes him the smartest pet around. It’s really a story designed to calm the fears of a nervous student. School. You never know when you will be stupid in front of the whole class (and someone will whisper, “what an idiot”). The descriptions (and accompanying pictures) of the teachers are also very funny. My personal favorite is the English teacher, Dividar Divecky, who loves Gertrude Stein and the thesaurus. Plus, there’s a pop quiz at the end–who doesn’t love a pop quiz? Check it out–the landisclan gives it eight thumbs up. May 18, 2007. books for kids. 1 comment.